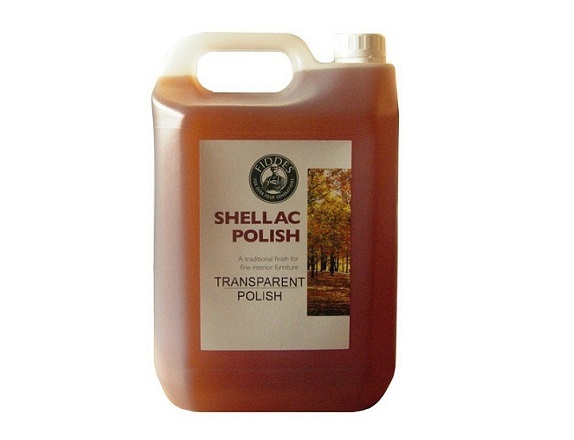 A wide range of traditional French Polishing materials is available through John Penny, including many varieties of shellac based polishes and raw shellacs, specialist brushes, pigments, dyes and raw materials. Displaying 1-20 of 25 Found. A blend of natural bear and badger hairs. Used extensively for applying French polish. 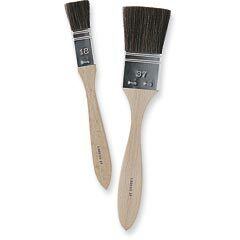 Very soft and bouncy to eliminate brush stroke marks, with a dense hair mass for a nice constant flow of material. 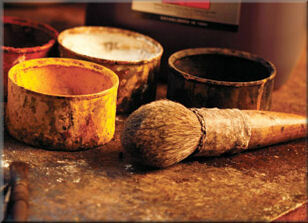 Pure ox hair flat brush for applying lacquers, varnishes, French polish etc. 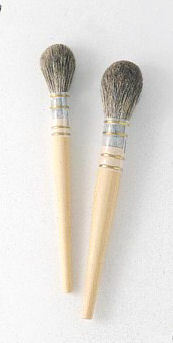 Very soft bristles ensure no brush stroke marks. 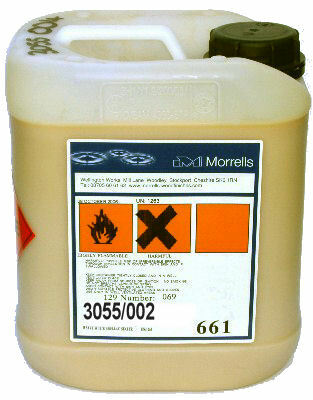 Clear pale sanding sealer for sealing bare or stained timber prior to French polishing or waxing. 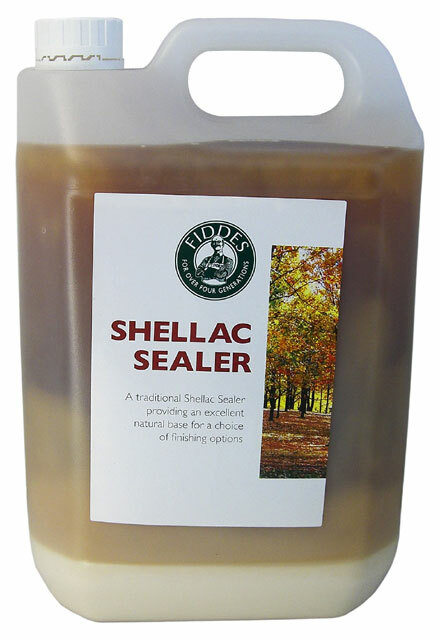 A thicker higher build version of the Fiddes Pale Shellac sealer. 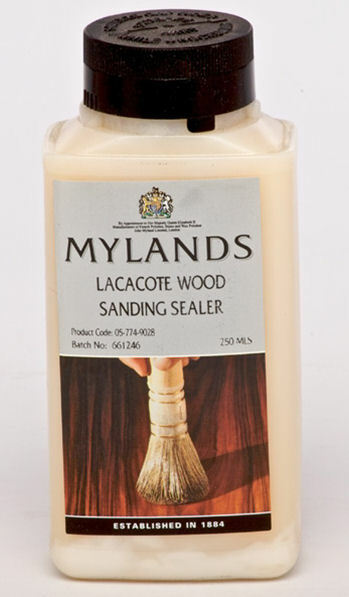 Clear sanding sealer for sealing bare or stained timber prior to French polishing or waxing. Clear amber coloured French polish made from the finest dewaxed blonde shellac. 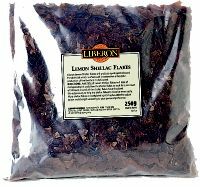 A dark brown polish for general use. 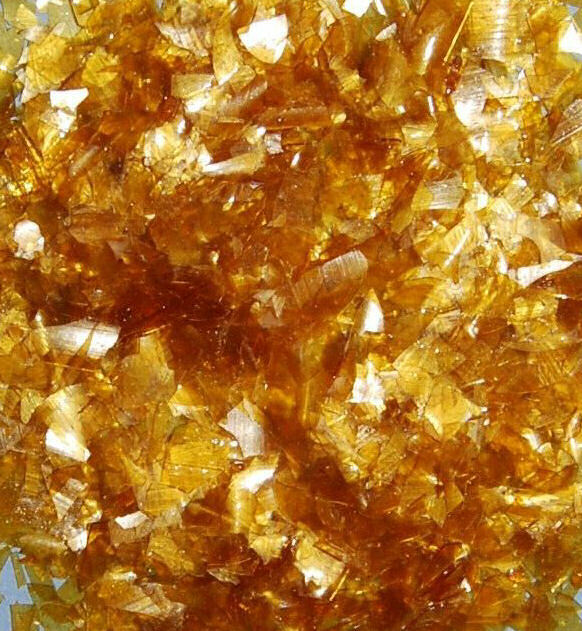 Opaque golden brown French polish for general French polishing application. Very high quality clear French polish made from dewaxed button shellac. Slightly darker than transparent polish, bodies up very well. Clear amber coloured French polish, modified with melamine for increased water and heat resistance. 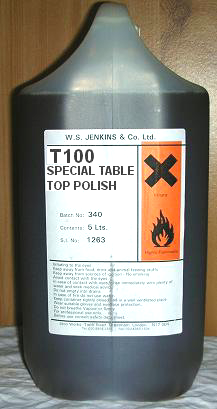 Use on table tops etc where more durability is required. Clear amber coloured French polish, modified for increased water and heat resistance. A dark French polish ideal for adding a colour tone to the wood. A very pale French polish made from bleached button shellac. 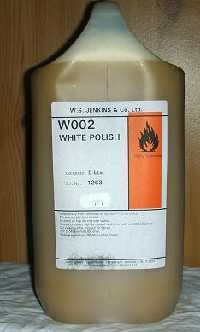 Use where minimum colouration is required. 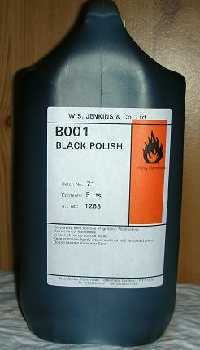 A transparent polish pre stained with black spirit dye. 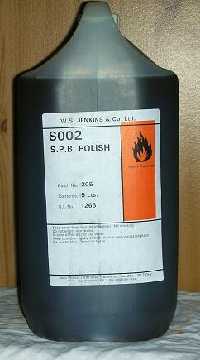 Use for creating an jet black "ebonised" finish. 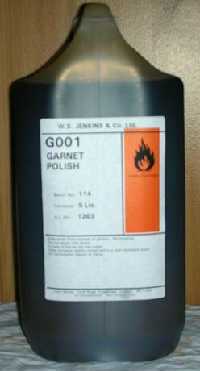 A transparent shellac polish pre stained with red spirit dye. 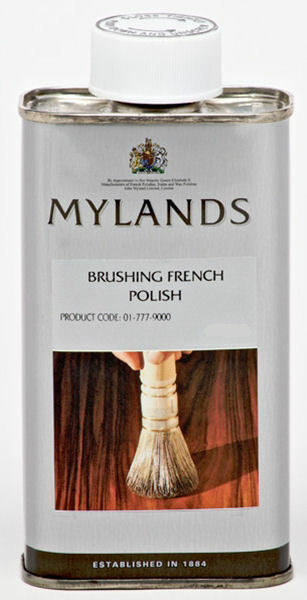 A clear French polish with modified solvents designed for application by brush. Retarded drying time for ease of application. 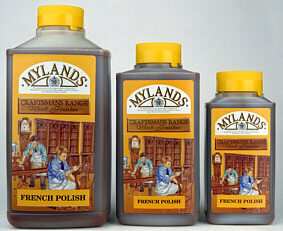 Blended solvents for cleaning brushes after using Mylands Brushing Polish. 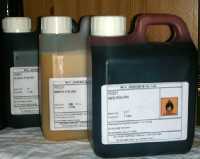 Very dilute shellac solution in pure alcohol, used for "spiriting off" towards the end of French polishing. Displaying 1-20 of 25 Matches Found.